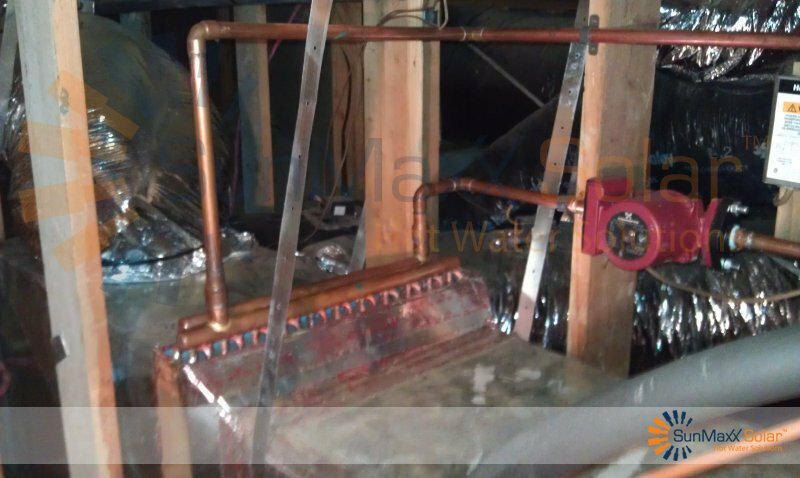 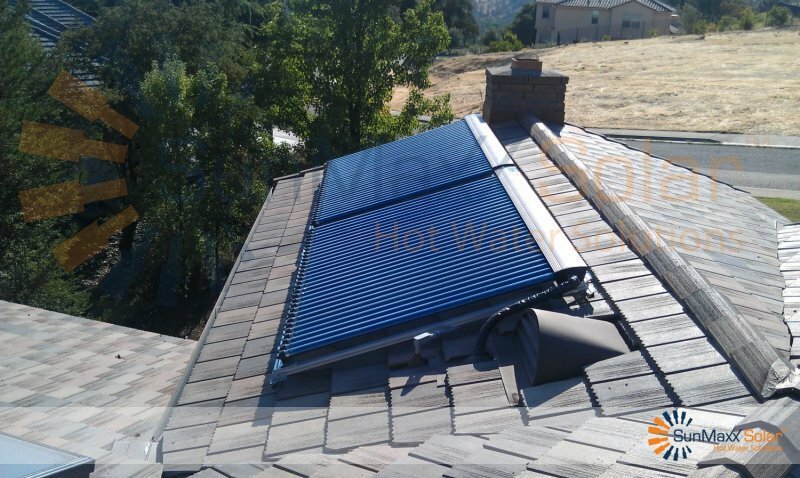 In July of 2012, a residential solar thermal system was installed for Lois Croman in Auburn, California. 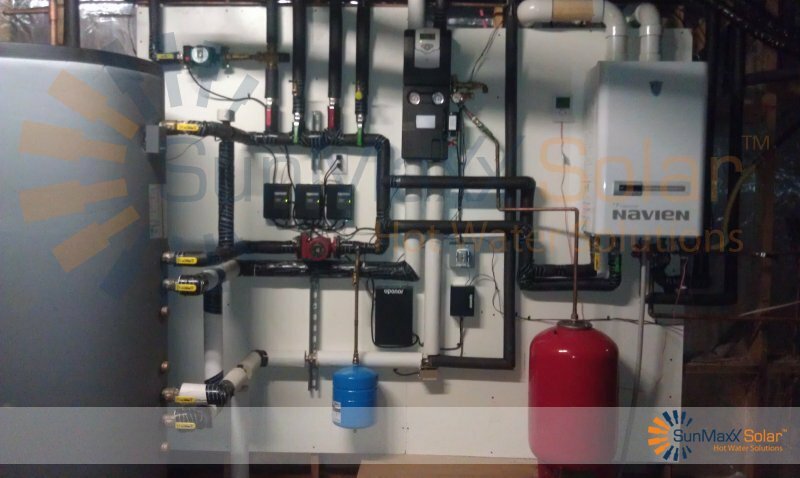 Casey Clarke, of NuSolar Technologies, installed the solar hot water system using SunMaxx Solar equipment. 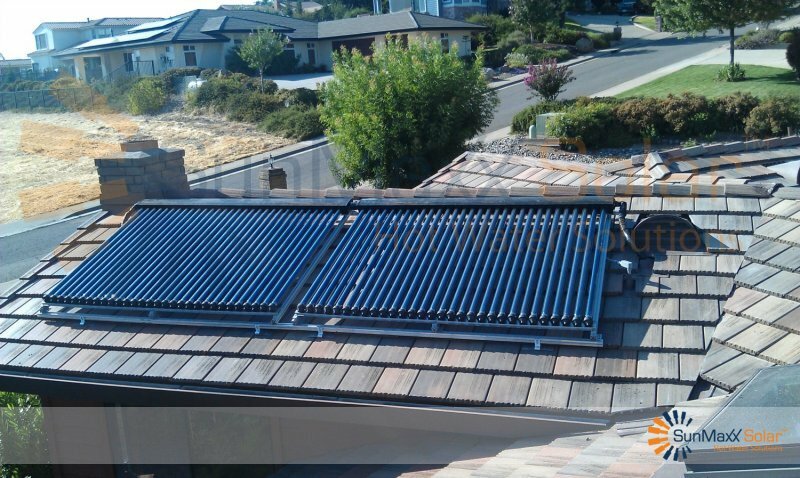 The system uses four ThermoPower VHP30 solar collectors which are flush mounted as well as a 211 Gallon Storage Tank. 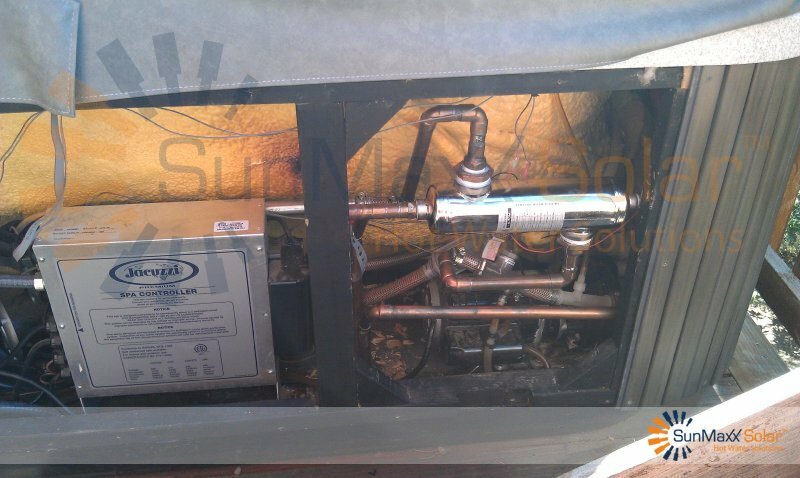 This cost effective investment will replace her old system which utilized propane. The new solar thermal system will provide her domestic hot water, space heating and pool & spa heating. 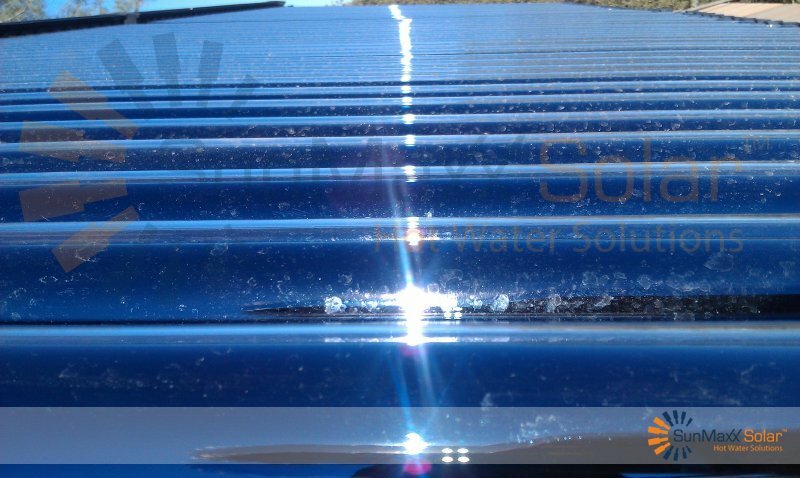 The solar fraction of this system is 60%. 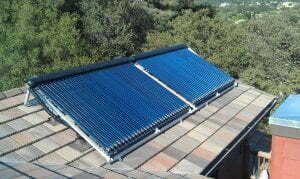 And she took advantage of the 30% federal tax credit for homeowners who have a qualified solar thermal system installed. 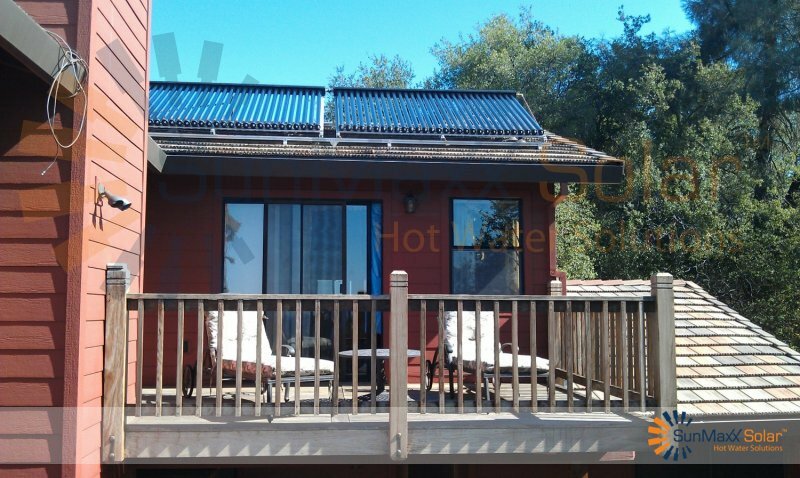 Now she’s enjoying all of the benefits of solar thermal energy!